The move is not exactly a surprise. The Nasdaq-100 includes the 100 largest non-financial securities trading in the market. And with a market capitalization of around $60 billion, Facebook (FB) was next in line. 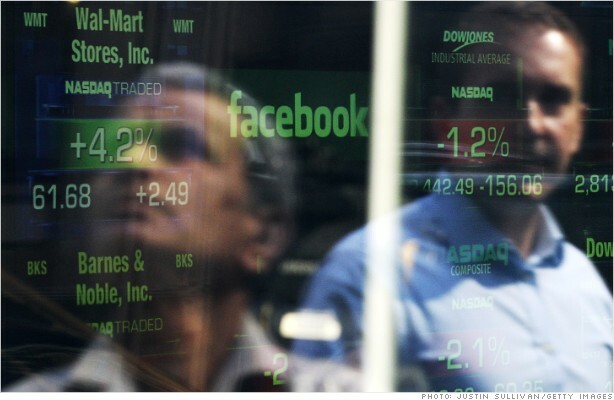 Facebook's ascension to blue-chip status would not have been possible just last year. But Nasdaq made rule changes -- before Facebook listed -- that shortened the "seasoning" period required for companies looking to join its marquee indices. Previously, companies were prohibited from joining the Nasdaq-100 until a two-year seasoning period was completed. In April, Nasdaq announced the minimum waiting period was being shortened to only three months. The changes were thought to be made specifically with Facebook in mind -- part of Nasdaq's campaign to woo the tech company.